Due to my busy schedule, i feel fatigue most of the time. No matter how many hours i slept, it is not helping, especially during travel and after i come back from my work trip etc. It is so hard for me to stay focus at work, get myself back on track sometimes. I feel like there is not enough fuel for the cells to work well on my body and i’ve no idea why. Traveling can be fun, but at the same time it makes me feel tired and make my skin dry and dull due to the different environment and weather. So, it is really important for me to find something that can solve my problem at once to avoid the hassle. I’m glad i found this to cure my problems at once. 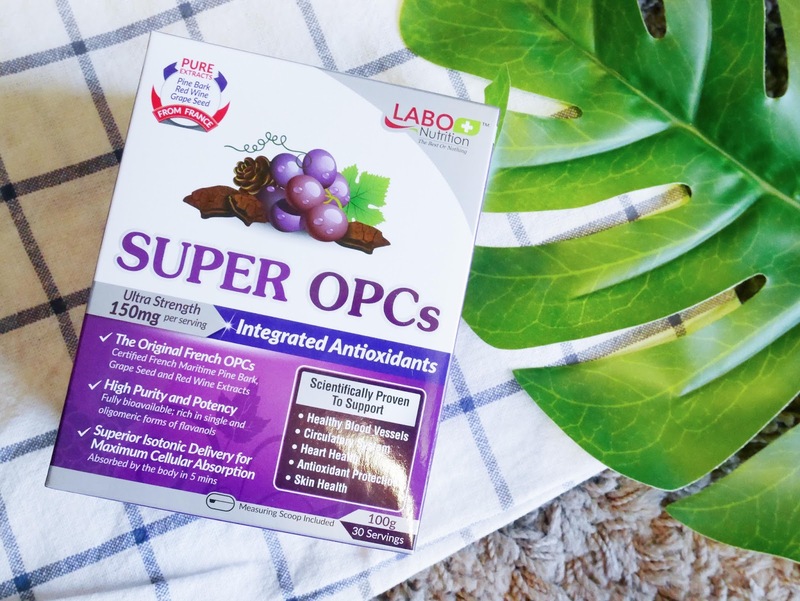 SUPER OPCs with its premium formula. 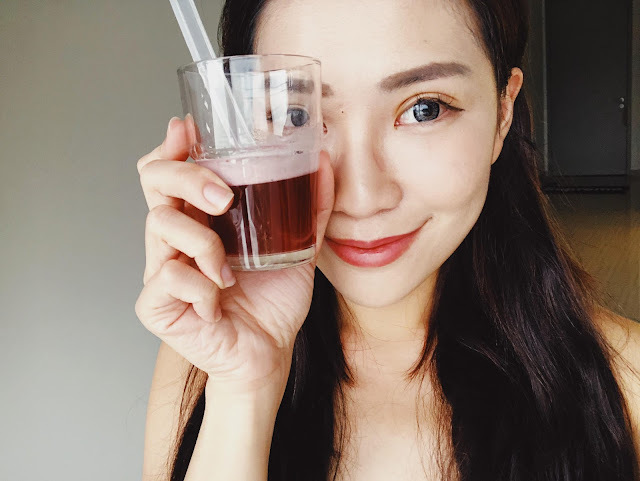 Ingredients are plainly stated, and they are mainly: French Maritime Pine Bark Extract, French Grape Seed Extract, French Red Wine Extract, Bilberry extract, Citrus Bioflavonoids Extract, Vitamin C, and Potassium. Antioxidants scavenge free radicals and remove them from the body. Long-term damage by free radical attack is the cause of many effects of premature ageing and problems relating to poor circulation. Our body needs powerful antioxidants such as OPCs (Oligomeric Proanthocyanidins) to protect it against these negative health effects! LABO Nutrition is dedicated to the research and development of superior, scientifically-supported dietary supplements, aimed at improving the quality of daily life. It is made of isotonic powder form. 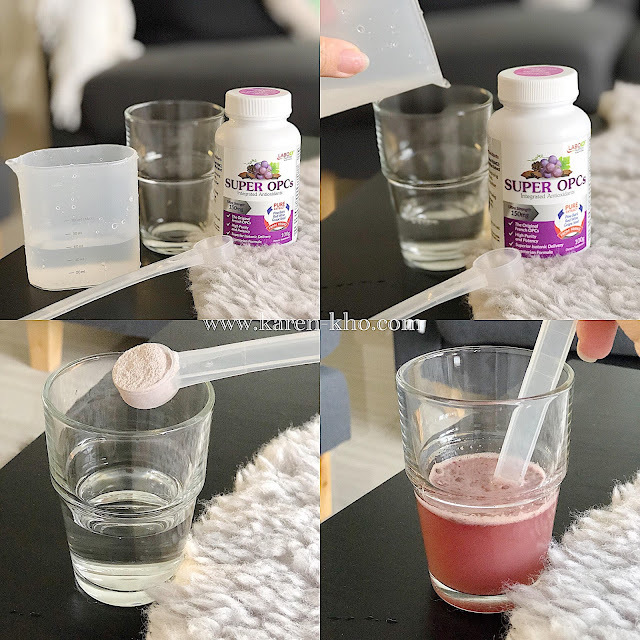 OPCs is the best form of antioxidant , more powerful than vitamin C and E. When it is correctly mixed with water, it can be absorbed by the small intestines within 5 minutes! 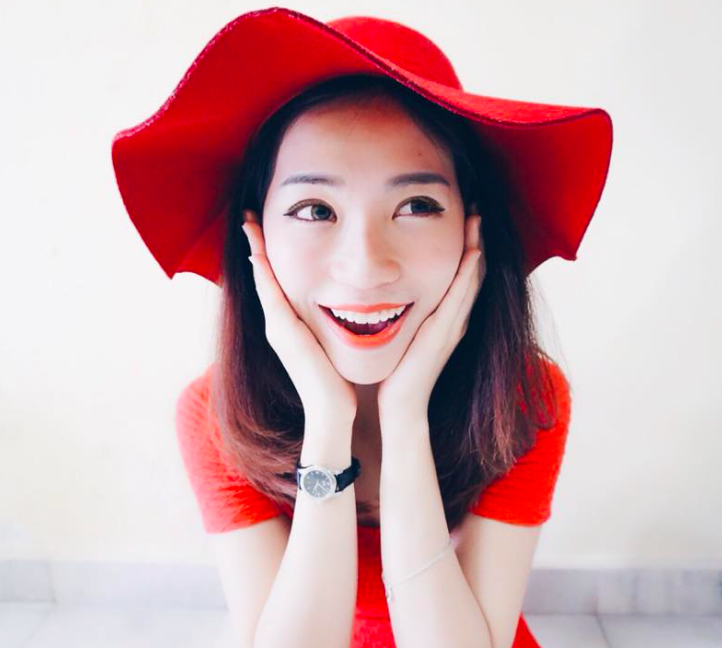 Better absorption, As compared to common antioxidant tablets that may take longer time for complete absorption. Drink it with empty stomach every morning! Pour a small cup of water, mix it with one scoop of super OPCs and stir it evenly. It comes with a plastic scoop that is the size for one serving. I really enjoy drinking Super OPCs every morning because it helps to maintain my healthy and the collagen of my skin. The taste is like a hint of grape but not as sweet. Quite nice to drink. 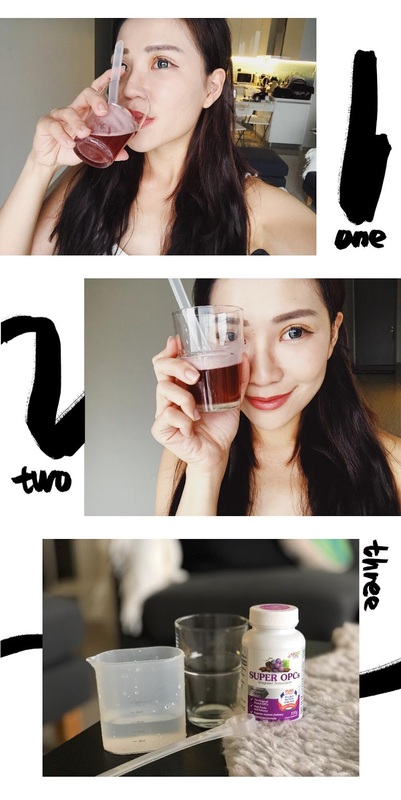 After consuming for few weeks, I feel less tired throughout the day and my skin is more glowing after drinking for a month. Love the results so much!